Some inventions come sheer out of personal traumas. And they tend to change the world for the rest! Worried about personal safety and having seen her own sister being attacked twice before she turned 17, the Founder & the CEO of the company, Jacqueline Ros decided to blend innovation with technology to create outstanding devices that assure complete personal safety. This gave birth to Revolar.The start up with a team of 10 created a masterpiece, a compact sized device that could provide users with safety in times of need. Revolar is a dynamic, collaborative and enthusiastic company that streamlines operations to produce magnificent work that could be immensely fruitful in improving the personal safety of users. The company is committed to its work and is totally driven towards the passion of making world a better and safer place. An outcome of incessant work and dedication, it launched Revolar, a compact electronic device that helps track down the location of the user and notify the close ones in times of emergency. Unlike any other wearable, this technologically innovative object is synchronized with the user’s smart phones and helps people know about the whereabouts as soon as the button is pressed. The discreet nature of this petite device lets it go unseen and allows the user to secretly press the emergency button. It can be worn under the clothes, on the back packs, inside pockets, or inserted in a bag’s handle. In short, it can be attached at any place you feel comfortable to carry. The device is excellent and has a battery life that lasts from months to a year. Further, the free Revolar app on Android and iOS has an upper hand in tracking the GPS location of the victim within minutes. > 1X1X1/8 inches compact size that makes it discreet and lightweight to wear. > Comes with three interchangeable colors to suit your needs. > 360 degree button that makes it easy to press when trapped in an unwanted situation. > Water resistant, so that you can carry it anywhere. 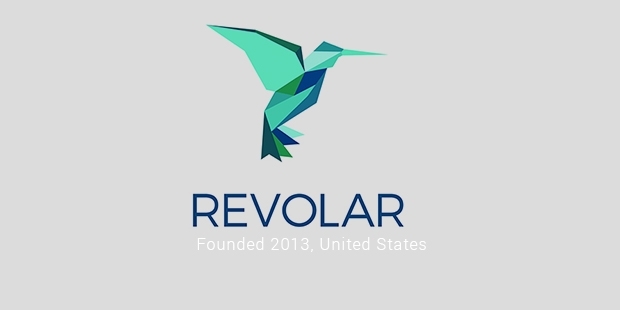 > Revolar app is available for free on smart phones. > Changes the smart phone mode to silent automatically when required. Without proper access and publicity even the most precious of things go unnoticed. No doubt, this fantastic personal safety device is just terrific and a must have for every girl, but without any proper awareness agenda, it would not become accessible to the people. Therefore the company recently started a Kickstart Campaign to get the awareness spread about this efficient personal safety device, benefits, usage and application.